The end of the year is almost upon us and I've decided to giveaway a great prize to celebrate! The lovely people at Mattel have very kindly offered one lucky winner the chance to win a Barbie 3 Story Townhouse worth a whopping €114.99! I was Barbie obsessed as a little girl and had quite the collection and if I could have had something like this I would have played with it all the time! *Random fact* - Barbie and I have the same birthday, March 9th, I was meant to love her. 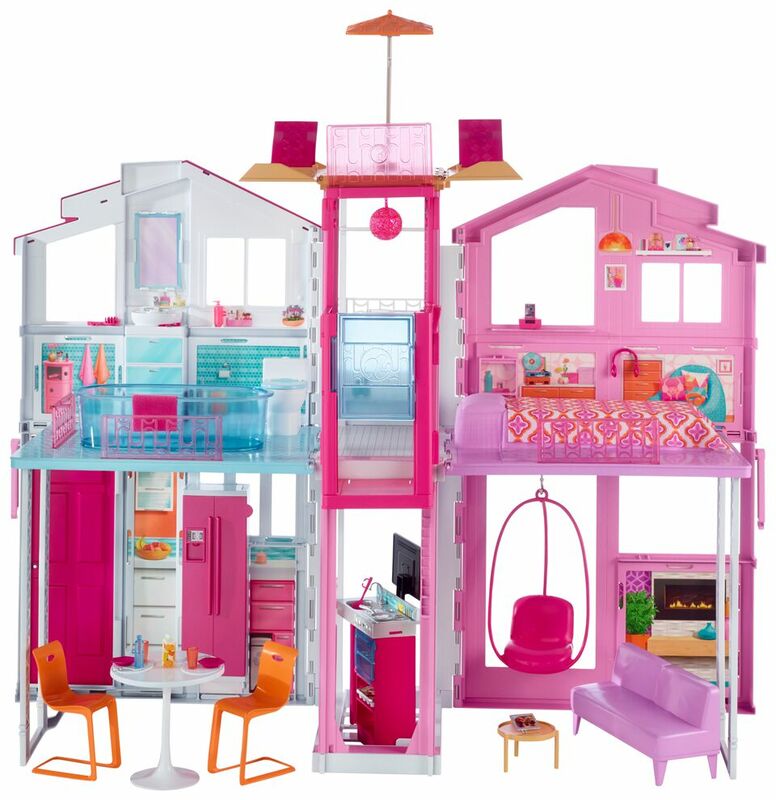 This gorgeous Barbie 3 Story Townhouse comes with four rooms and a rooftop lounge, and elevator, fabulous furniture and modern accessories. The house even folds up for convenient and easy storage and is easy to unfold for playtime. For a chance to win this amazing prize simply enter via the Gleam widget below. This giveaway will run until January 8th at 11.59pm and a winner will then be selected at random via the Gleam widget. This giveaway is open to residents of Ireland and the U.K. only. This prize is being supplied directly from Mattel. For my two girls! They would love it! I'd like to win this for my darling little niece, Emily. I would love to win for my 2 girls, who love Barbie. For my lovely little niece Leanna - she would absolutely love this :) Thank you! Would love to win this for my gorgeous niece who loves Barbie - just like her auntie did all those years ago! I'd love to win it for my youngest daughter. She has a twin brother and a fairly tom boy type older sister so she doesn't have as much dolls and those sorts of toys as she would like to. My youngest daughter for her birthday in March, but I'm sure both daughters will enjoy playing with it ! My youngest would love this she's Barbie crazy! I would love to win this for my very girly 4 year old daughter. I would love this for my nieces and nephews to play with! I Know a Little girl who would adore this. My daughters Roxanna & Charlie! They'ed be over the moon!! Thank you ! I would love, love,love love to surprise my little girl, please :)! My little girl. She would be over the moon with this! I would love to win for my daughter, she loves Barbie and has been watching the Barbie Dreamhouse series on Netflix. I'd love to win for my five year old daughter, she would love a home for her Barbies. My daughter Lydia would absolutely love this! My great-niece Phoenix would love this. Her Barbies, who live here, enjoy several adventures on a weekend when Phoenix comes over. Surprising what you can do with a small cardboard box, but they don't have a house so have to live in the carrier bags and the box is used for all the accessories. Her only complaint is "why don't they have any winter clothes" lol? Not bad for a 6-year-old. My niece Penny loves Barbie and I would love to surprise her with this! Me! I kid, my daughter. She is Barbie obsessed - much like me as a child. Also, you, me and Barbie are birthday triplets!! Hooray for March 9th! I would love to win this for my Barbie mad Goddaughter! A very special child - it's a surprise so I can't say but it will help her creativity!